The $20,000 instant asset write-off is extended for another year, which is great news for small businesses. Tonight Treasurer Scott Morrison announced this popular scheme is continuing, which gives business turning over less than $10 million to instantly write-off specified equipment valued below $20,000. The policy was due to end on 1 July this year, but it’s now pencilled in to last until 1 July 2019. 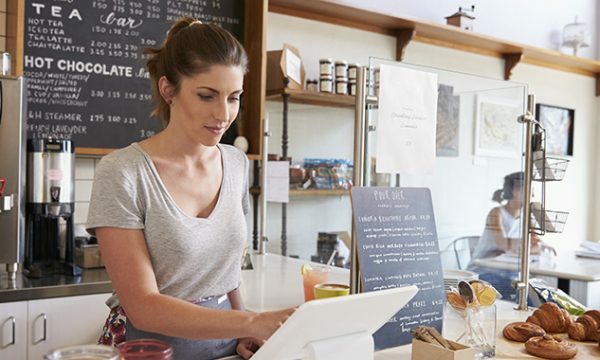 “The government’s decision to extend the $20K instant asset tax write-off is welcome news for SMEs,” MYOB CEO Tim Reed said. It’s a policy close to the hearts of Australian small businesses, with MYOB’s most recent snapshot confirming it’s the most requested measure in this year’s budget. A whopping seven out of 10 small business owners interviewed said the policy should be made a permanent feature of the tax landscape. So now the policy has been extended, how can you best use the opportunity presented? The scheme allows businesses with less than $10 million in annual turnover to immediately write-off the value of new assets worth less than $20,000. There’s no waiting for depreciation to kick in over several years. This isn’t a full list of items that match the scheme, but talk over any investment decision with a trusted advisor. Prior to the budget being released, several industry groups representing small businesses called for the $20,000 instant asset write-off to stretch out or remain forever. Policy Director with the Restaurant and Catering Association Australia, James Coward, previously told The Pulse that hospitality businesses needed the policy to have certainty for investing. Meanwhile Chartered Accountants’ Senior Tax Advocate, Susan Franks, revealed the policy brought in more business for accountants – as clients sought their advice on how to best use the opportunity created by the scheme. “We’ve heard that the asset write-off has encouraged small businesses who wouldn’t normally go to an accountant to go to an accountant and get advice,” said Franks. While extending the policy for a year means blowing the party whistle, making it a permanent feature would be an even bigger win for small business.